Avon Armour makes high-quality security doors and this knowledge also means that we are able to repair faults that can occur with all types of doors. 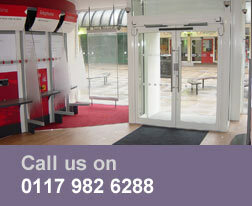 Problems could include worn hinges, faulty door closures, broken locks or cylinders. We have an experienced 'Master Locksmith' available, so, whatever the fault, call us for a prompt, quality service in the greater Bristol area.